With plenty of protein and little fat, tuna is one of the best foods for muscle growth and recovery. 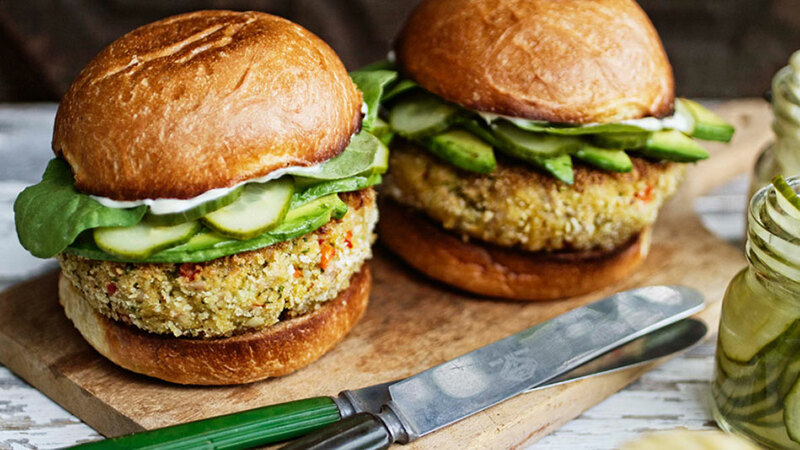 By combining the canned fish with a few simple ingredients you can make a delicious burger in a matter of minutes—one that packs more health benefits than a beef or turkey version. Another bonus to the tuna burger: Tuna is a great source of omega-3 fatty acid, which supports muscle growth, helps cut your risk for heart disease, increases male fertility, and boasts anti-inflammatory properties. Combine the tuna, oats, and egg. Stir in vegetables, mayo, hot sauce, salt, and pepper. Place a nonstick skillet over medium heat and add patties when hot. Cook until egg (and raw tuna, if you used it) is done and patties are solid.